Amy Lane, PhD, assistant professor and coordinator of Creighton’s theatre and dance programs in the Department of Fine and Performing Arts, is teaching the Theatre for Social Justice class focused on climate change and culminating in a November 17 performance of CCTA plays. With guest appearances from Creighton faculty and administration, the nine students in Lane’s course will research multifaceted approaches to the issue, looking at the science and the social science behind the strain being placed on the environment. From sustainability in agriculture to ministering to climate refugees, the planned performances aim to touch on several different aspects of the crisis. 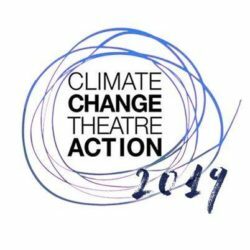 The November 17 performance will spend about an hour on short plays produced by Creighton students and professional playwrights, and conclude with a panel conversation and audience talk-back featuring Creighton faculty and other local voices on climate change. In addition to the November 17 performance, the class is going on the road, taking its plays to Gross Catholic and Omaha Burke high schools in the metro Omaha area.